Variations in decadal to centennial-scale drought and pluvial episodes - across the Northern Hemisphere - have been reliably reconstructed back to the ninth century for the first time. "Now we can compare precipitation changes in various parts of Europe, Asia, and North America for the past twelve centuries. 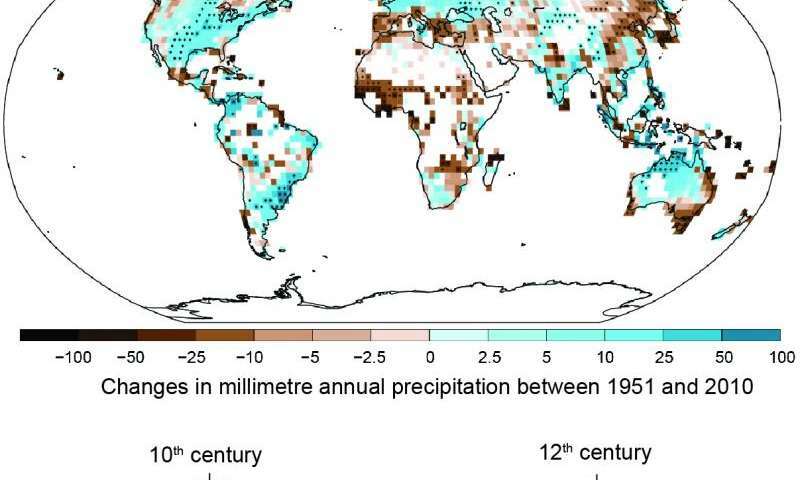 Precipitation anomalies have been stronger and covered larger areas in some earlier centuries than during the twentieth century", according to Fredrik Charpentier Ljungqvist, historian and climate researcher at Stockholm University and lead author of this study. The researchers reconstructed changes in water availability by statistically analysing evidence for changes in precipitation and drought. 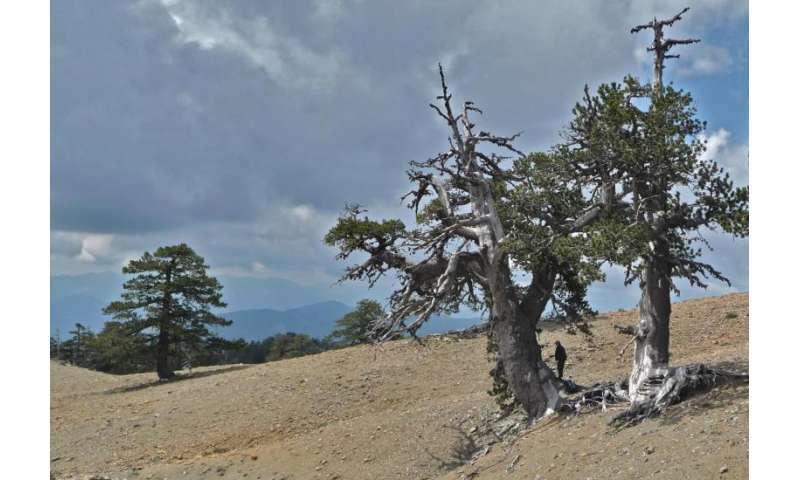 To do this the researchers compiled hundreds of records of precipitation change across the Northern Hemisphere from archives including tree-rings, speleothems, lake sediments, and historical records. This is the first hemispheric-scale assessment of how a key societal resource - water availability - has fluctuated over the past twelve centuries. "The study shows the importance of placing recent precipitation changes in a millennium-long perspective. Actual measurements of precipitation are too short to tell if the observed changes today fall outside the range of natural variability. Instrumental measurements are also too short to test the ability of state-of-the-art climate models to predict which regions of the hemisphere will get drier, or wetter, with global warming", says Charpentier Ljungqvist. "The climate models simulate pre-industrial precipitation variability reasonably well but simulate much stronger wet and dry anomalies during the twentieth century than those found in the reconstruction. This does not necessarily mean the mechanisms driving precipitation changes in climate models are wrong. The explanation for this could be that the global warming is not yet strong enough to trigger the changes in precipitation patterns that climate models simulate", reports Charpentier Ljungqvist.